Repair It or Replace It – What’s the Most Energy-Efficient Choice? We’ve all been there—gazing woefully at a washing machine that’s stopped spinning, or a refrigerator that’s lost its cool. But, how do you decide whether to repair it or replace it? Here are some crucial things to consider. We’ve all been there—gazing woefully at a washing machine that’s stopped spinning, or a refrigerator that’s lost its cool. You dutifully call your repair shop and wait for the verdict. And when the estimate comes in, you have to make the expensive choice of whether you are throwing good money after bad by paying to fix the appliance, or whether it’s time to cut your losses and buy a new one. 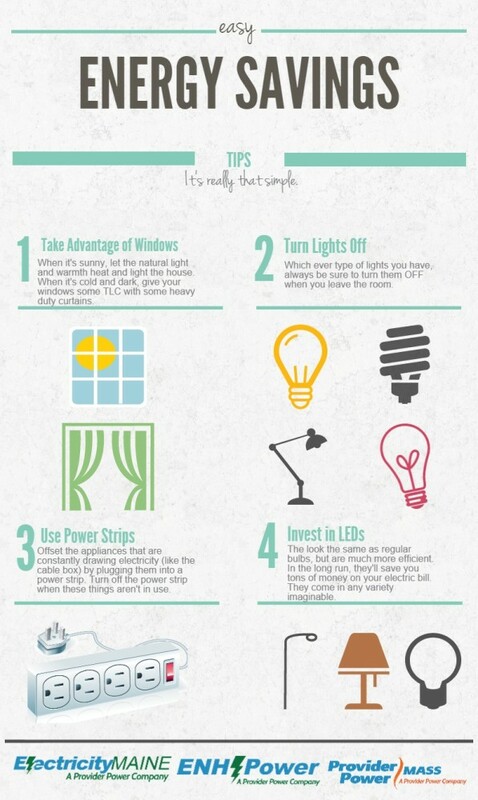 An even more important factor: how energy efficient is it? Energy savings alone can help justify replacing some appliances that aren’t working as they should. As just one example, if all refrigerators sold in the United States were ENERGY STAR certified, the energy cost savings would top $400 million each year, and prevent eight billion pounds of annual greenhouse gas emissions—equivalent to the emissions from 750,000 vehicles. Is it a quick fix? It’s surprising how many repairs can be diagnosed and fixed easily by doing some research and watching a how-to video. RepairClinic.com is a great source for DIY-ers, and you’d be surprised how much intel you can find on YouTube as well. What is the incremental cost of the repair? Spending $600 to repair the motherboard of a refrigerator that would cost $1,000 to replace might not be the best use of money. It’s painful, but if spending $400 dollars will extend the life of the appliance by 10 years, rather than two, it will be money well saved. A good rule of thumb is not to spend more than 50 percent of the cost of a new product on repairing the old one. And, if this is a subsequent repair, think twice before repairing at all. What will happen to your existing appliance? Don’t just tote it to the landfill – when you purchase a new appliance, the store typically will take your old one away and recycle it in an environmentally friendly way. They often reuse many of the parts, so you know that your piece is being repurposed. Thinking about sticking your old fridge in the garage? You might not want to – [C1] energy hogs have no place in your home. Another option for recycling is to search the database on Earth911.com which will offer environmentally friendly options based on your zip code. If you do need to replace, this is your chance to make a wise choice: do your research and consider energy usage as a top factor when you purchase your new appliance. Also, only buy what you need – the more bells and whistles on a piece, the more opportunity for things to break. Then, once you get it home, ensure that your new appliances perform at their peak by using them in the most energy-efficient manner possible. Conservation is everyone’s job! There are two parts to your electric bill - supply and delivery. But what else gets factored into it? U.S. companies using cloud computing could save $12.3 billion in energy savings and 85.7 million metric tons of CO2 savings a year by 2020. Why hasn't your company taken advantage of this yet? More and more companies are shifting their IT infrastructure to the cloud rather than using servers, a move that can help reap tremendous savings in carbon emissions and energy costs. In fact, a study by the Carbon Disclosure Project (CDP) found that U.S. companies using cloud computing could save $12.3 billion in energy savings and 85.7 million metric tons of CO2 savings a year by 2020. The firms interviewed for the study anticipated reducing costs by as much as 40 to 50 percent. The study also analyzed the business impact of transferring human resources to the cloud and found that it could achieve payback in less than a year. Beyond reducing their carbon footprint, cloud computing saves companies in other ways like avoiding up-front investments in infrastructure, improving time-to-market and improving automation. Cloud computing offers additional business benefits such as greater flexibility and scalability and easier upgrades. Pricing model: The white paper recommends looking for a cloud computing vendor that bills cloud computing infrastructure on an hourly basis, because spikes tend to last only a few hours. Companies would not reap as much savings with a cloud computing vendor that charges by the day rather than the hour. Some cloud computing vendors also charge users a setup fee for provision (and even de-provision, in some cases) to offset their costs, so try to avoid vendors with high setup costs. Security and compliance: Whether you’re used on-premise servers or a cloud-based solution, you need to do your due-diligence about the vendor’s security protocol. If your business is subject to standards such as Health Insurance Portability and Accountability Act (HIPAA) or Payment Card Industry Data Security Standard (PCI DSS), you’d want to choose a vendor who complies with those standards. Performance: Cloud computing offers a high level of reliability but it’s not infallible. Look for a provider who can offer you a strong Service Level Agreement (SLA) covering factors like host failure and network availability. Support: Your in-house IT department may not have the bandwidth to offer around-the-clock support, so find out what level of support you can expect from your vendor. With the global economy, outages at any time of day are inconvenient and cost you money. Cloud computing has the potential to save your business energy and money, but it’s important to select your cloud computing provider carefully to ensure the right fit for your needs. As we strive to live more sustainably, our choice of home makes a huge impact on our environmental footprint in terms of energy use and the environmental impact of the home’s materials. Fortunately, sustainable design is becoming increasingly mainstream, offering a growing number of options that seamlessly incorporate form and function. Here’s a look at several Boston-area architecture firms with expertise in this arena. Amacher & Associates Architects: Led by Franziska Amacher, LEEP AP and graduate of the Harvard Graduate School of Design, this Cambridge-based firm offers architecture, space planning and sustainable development. Past projects include commercial and residential buildings including a zero-energy building, a renovation of a Beacon Hill brownstone, a green farmhouse in Maine and a solar two-family house. Architerra: With all of its full-time professional staff LEED-accredited, Architerra has completed projects including the Massport cruise terminal in Boston, a new science and art center at Cambridge School of Weston and the Massachusetts Clean Energy Center’s Wind Technology Testing Center. The firm has received awards including the Boston Society of Architects Award for Sustainable Design and a AIA COTE Top Ten Green Project. Studio G Architects: Studio G Architects’ portfolio includes sustainable design projects including the Massachusetts Affordable Housing Alliance Offices (using recycled building materials and components), Eco-Tourist Resort in Israel (featuring graywater and rainwater recycling and passive ventilation systems) and the Green Roof at Boston Latin School. The firm also has a tradition of preserving historic structures and, in some cases, adapting them for new uses. Reverse Architecture: Somerville-based Reverse Architecture has designed homes and commercial spaces as well home additions with features such as a “geothermal” ground source heat pump and LED lighting. One notable project, Condensation House in Twentynine Palms, California, is designed to extract and design water vapor from every potential source. The firm’s founder, Carl Solander, LEED AP also lectures at MIT. ZeroEnergy Design: Based on Boston’s Milk Street, ZeroEnergy Design (or ZED for short) offers green architecture and mechanical design services, working on new home construction and renovations. ZED helps residential clients achieve energy performance targets such as net zero energy (using on-site energy production such as solar photovoltaic to match energy consumption), passive house standard (using 70-90 percent less energy for heating and cooling than a conventional structure) and deep energy retrofit (improving energy performance by at least 50 percent). It also has LEED-accredited professionals and LEED for Homes Green Rater on staff. During the winter, we like to sit by the cozy fire. Here are some tips on how to fix up your fireplace to get maximum warmth possible. When you think about staying warm in the winter, one image that comes to mind is sitting curled up in front of a crackling fireplace – especially with all the snow that New England has been seeing recently. What you might not realize is that your favorite cozy spot could be a huge source of heat loss, even when it’s fired up. According to the United States Environmental Protection Agency, a wood-burning fireplace is an inefficient way of heating your home since most of the heat goes right out the chimney. And, it’s estimated that your heating bill could increase as much as 30 percent if you’re not properly using your fireplace, or leaving the damper open when you’re not burning a fire, as reported by Zillow.com. That’s because even though you may feel warmth in the immediate area surrounding the fireplace, your other rooms will experience a drop in temperature as the warm air is drawn up the chimney. That will force your home heating system to run more, thus increasing your bill. If you think about it logically, the chimney allows airflow so that smoke can escape when you light a fire, but when not in use, you’re letting the warm air from your home out. In other words, if you don’t close your damper (the small door that opens up the chimney flue) when your fireplace is not lit, it’s like losing heat through an open window or front door. As with windows and doorways, you want to do your best to make sure that air isn’t escaping through cracks or crevices in your fireplace. Caulk around the hearth, and make sure that the flue damper is properly sealed as well. By making this part of your home’s winterizing routine, you’ll be able to heat your home more efficiently. An air-tight tempered glass door can help prevent heat loss, even though it might not look as pretty as an open fire. Experts also recommend closing the doors in the room when your fireplace is lit and cracking a nearby window to reduce heat loss. Consider upgrading your fireplace with a heat-air exchange system to blow warmed air back into the room. Think of it as recycling warm temperatures. If you’re not lighting the fireplace, you can purchase a chimney balloon, which will block off most of the opening to prevent warm air from escaping. If you really have no intention of lighting any fires, however, you should plug and seal your fireplace flue for good. Diligent upkeep and maintenance of your fireplace will save you money over the course of a long winter, so you can continue enjoying those evenings in front of the fire without burning a hole in your budget.